LAS CRUCES, N.M. — As one group of engineers continues to diagnose a gyro problem that has sidelined the Hubble Space Telescope, another is dealing with a problem that has put operations of another large space observatory on hold. 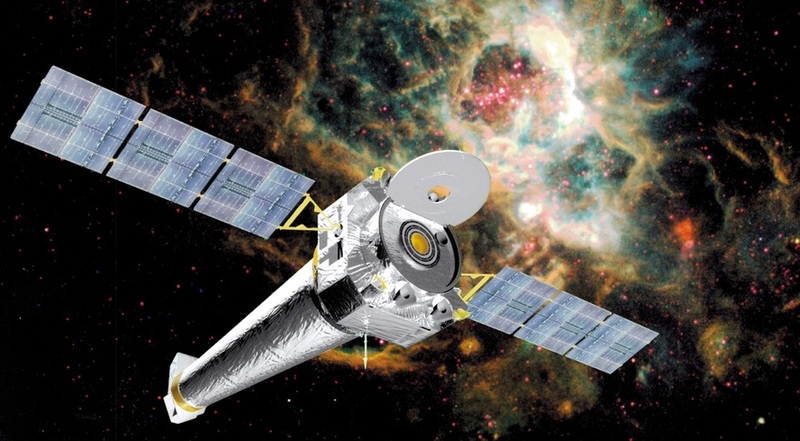 In a statement Oct. 12, NASA said the Chandra X-Ray Observatory entered a safe mode on the morning of Oct. 10. That safe mode interrupts scientific observations and puts the spacecraft into a stable configuration. Chandra is one of the four original “Great Observatories” developed by NASA to perform astronomy across the electromagnetic spectrum. Chandra was launched by the shuttle in 1999 for what was originally a five-year mission, later extended to 10. NASA also provided an update Oct. 12 on the status of another of the Great Observatories, the Hubble Space Telescope. Hubble has been in a safe mode since Oct. 5 when one of its gyros failed and another was not “performing at the level required for operations,” the agency said Oct. 8. Hubble remains in its safe mode as engineers continue to analyze the problem with the gyro not performing as expected. NASA said the gyro is reporting rotation rates “orders of magnitude higher than they actually are,” although it did appear to be properly tracking the telescope’s movements. This problem most affects Hubble when it is a “precision” mode when it’s used to measure very small movements, such as when telescope is locked onto a particular target it is observing. “The extremely high rates currently being reported exceed the upper limit of the gyro in this low mode, preventing the gyro from reporting the spacecraft’s small movements,” NASA explained. An anomaly board is studying the problem, including ways to address the problem using ground systems. The agency didn’t give a schedule for the board to perform that work. That analysis is important since Hubble normally operates with three gyros. The spacecraft is equipped with six, which were replaced on the final shuttle servicing mission in 2009. Three of those six have now failed, including the one that failed last week. With one of the three remaining ones not performing as expected, Hubble can’t be operated in its usual three-gyro mode. It is possible, though, to operate the spacecraft with just a singly gyro, and NASA said it will do so if the malfunctioning gyro can’t be fixed. Shifting to one-gyro operations will “still provide excellent science well into the 2020s,” NASA said, but acknowledged that it would operate at “slightly lower efficiency” in that mode. Some astronomers are concerned that the reduced-gyro mode could adversely affect some types of observations, like solar system objects, that require the precision of three-gyro operations.